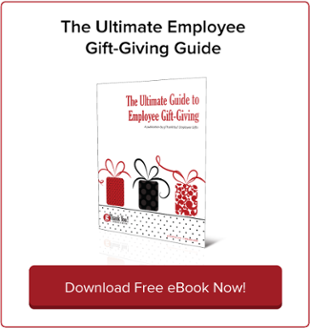 How Everyone Benefits from Workplace Gratitude | gThankYou! Is your workplace grateful? Celebrate World Gratitude Day with a commitment to building workplace gratitude! 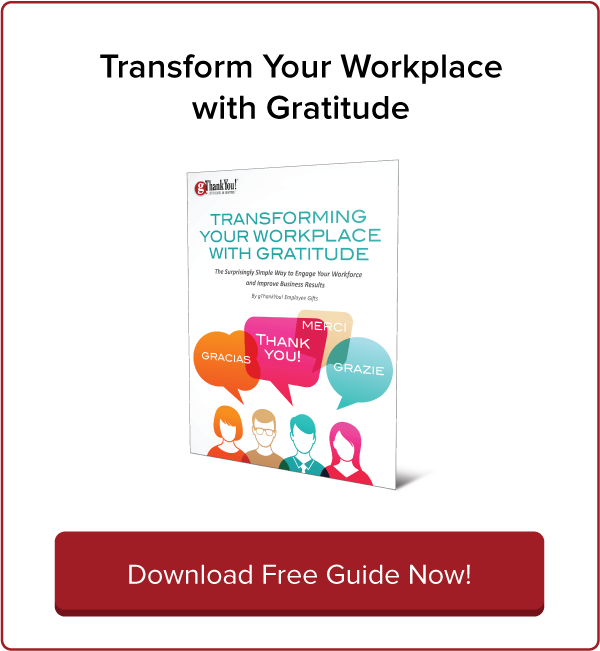 Download our FREE eBook, “Transform Your Workplace With Gratitude” by clicking the image now! Everyone benefits from a healthy culture of workplace gratitude: employees, managers, company leadership and, of course, customers. World Gratitude Day is this Wednesday, Sept. 21, so we’re taking time this week to reflect on how gratitude in the workplace supports people and amplifies gratitude elsewhere in our lives. The origin of World Gratitude Day dates back to 1965. It was inspired by the all-American holiday of Thanksgiving! At an international Thanksgiving dinner in Hawaii that year, Indian meditation teacher and World Gratitude Day founder Sri Shinmoy “proposed a globally unifying holiday to formally express gratitude and appreciation.” The United Nations formally adopted it in 1977. In 2015, “Gratitude Diaries” author Janice Kaplan wrote a column for the Chicago Tribune on the transformational power of being grateful and the importance of celebrating World Gratitude Day. “It’s a good day to reflect on what we have and why we have it. Doing that doesn’t undermine our ambition. We can still want more and expect more. But we’ll be healthier for acknowledging our good fortune,” she wrote. Regularly expressed gratitude can lower blood pressure, improve sleep and even dramatically decrease depression. The benefits extend beyond personal wellbeing. Gratitude is also good for relationships and business. Yet, as Kaplan discovered in researching her book, gratitude doesn’t get the attention it deserves. Let’s look at the ways workplace gratitude in particular touches everyone involved and lifts up organizational culture. The benefits of workplace gratitude are all-encompassing! Workplace gratitude is about more than saying “Thanks.” It’s a worldview and tone set by company leadership and modeled throughout the organization every day. Here are four examples of the ways workplace gratitude is transformational for individual players. 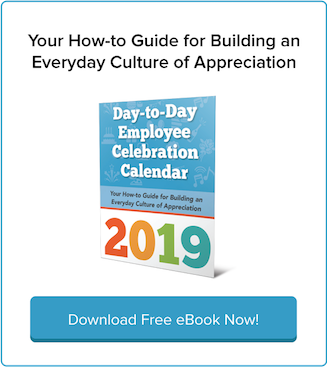 Gallup researchers Nate Dvorak and Annamarie Mann call employee recognition “one of the greatest missed opportunities for leaders and managers.” Employees who receive robust recognition and who work in a culture of gratitude are more engaged, motivated, productive and creative. In the best-case scenario, they become so engaged in their work that they experience a kind of joy we don’t even have a word for in English. In Denmark and other Nordic countries, this state of employee happiness is called arbejdsglæde. (Say that ten times fast!) There’s no direct English translation, but it loosely means “work joy.” A national commitment to arbejdsglæde is certainly one reason Denmark rates at the top for worker motivation and workplace happiness. Because they’re at the frontline with employees, managers are often the first to personally experience the benefits of overseeing a well-appreciated workforce. Employees who feel their work matters are willing to go the extra mile to help managers run the business — whether it’s by meeting sales goals, filling in during staffing shortages or doing their best work day in and day out. CEOs are responsible for setting the cultural tone of the organizations they lead — and this includes building workplace gratitude, too. It’s a big responsibility. But gratitude isn’t a one-way transaction. Leaders who make a commitment to practicing and expressing gratitude experience benefits, too. Quite simply, they lead better. They have better ideas, make better decisions and enjoy better working relationships. That’s because focusing on gratitude clarifies vision and keeps us creative. Leaders who practice gratitude see solutions and people more clearly. Their employees are happy and engaged. In practice, this translates to better business. Need more proof? Read our blog post, “6 Savvy CEOs Share Workplace Gratitude Fundamentals.” Or let your leadership be inspired by Shakespeare! All these happy people in the workplace — employees, managers, leadership teams — create the products, services and experience that make customers happy, too. Take JetBlue, for instance. At the fast-growing airline, company founders aimed to erase the inconvenient and annoying aspects of airline travel through extraordinary customer service. The company espouses values of Safety, Caring, Integrity, Passion and Fun and is committed to treating customers with gratitude and kindness. JetBlue lives up to its mission by using frequent workplace Thank You’s to recognize employees and remind them of how valued they are. Employees are inspired to show customers the same level of appreciation, garnering customer loyalty in the process. The company has earned honors from J.D. Power for highest customer satisfaction among low-cost carriers in North America. Ready to transform your workplace with gratitude? Want to be more successful recruiting and retaining talent? 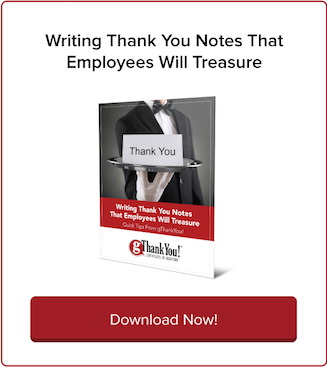 Then download this must-have free eBook, “Transform Your Workplace With Gratitude,” full of practical learning that you can start putting to use today. Learn from positive psychology and leadership experts how to build and sustain a workplace culture of gratitude that attracts employees and customers.